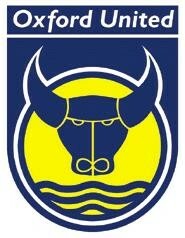 City have completed the loan signing of Oxford United youngster Alex Fisher. With Craig Faulconbridge and James Faulkner both out injured and Andy Baird filling in brilliantly as a centre back City boss Justin Merritt has felt the need to bring in Fisher to provide some firepower and in turn it will give Fisher a chance to gain some valuable experience and match fitness. Meanwhile journeyman striker Anthony Robinson has been released by City, he started just 2 games in his short spell.